Recently I was given a challenge by my friend Fuzzleton and my cosplay partner in crime Smell Bear to complete and Xbox achievement challenge. 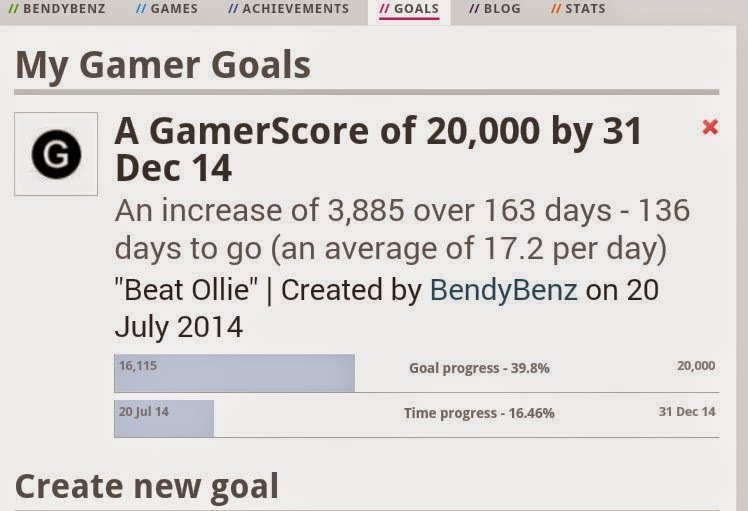 The challenge was to beat our friend Silencehxc's score by the end of the year. 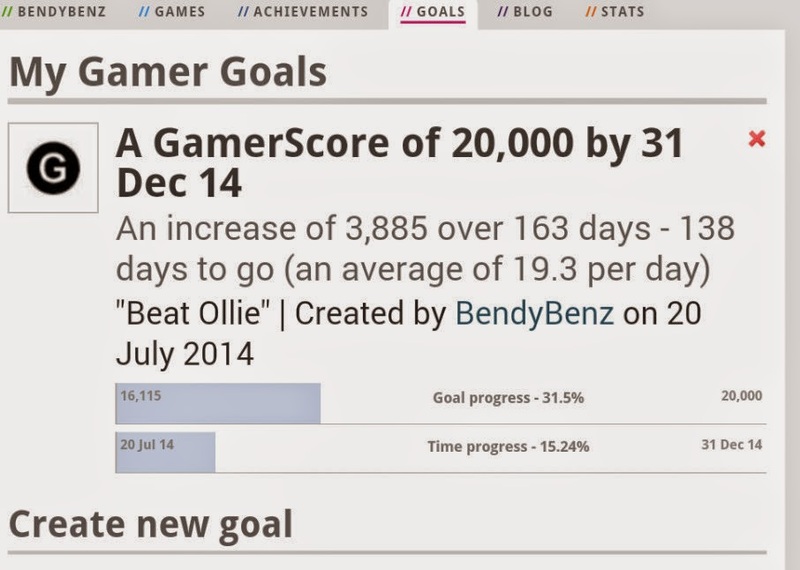 So that's basically 20,000gs by the end of the year. I started with 16,115gs. 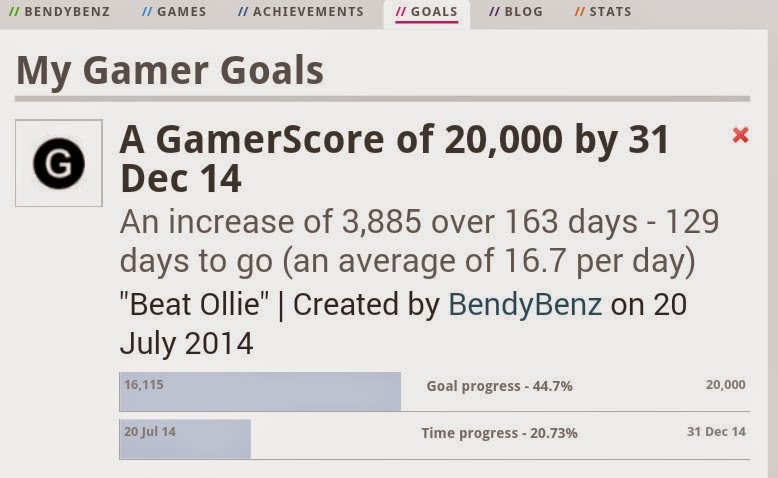 The easiest way to keep track of your gamer score and goal is to sign up to true achievements. 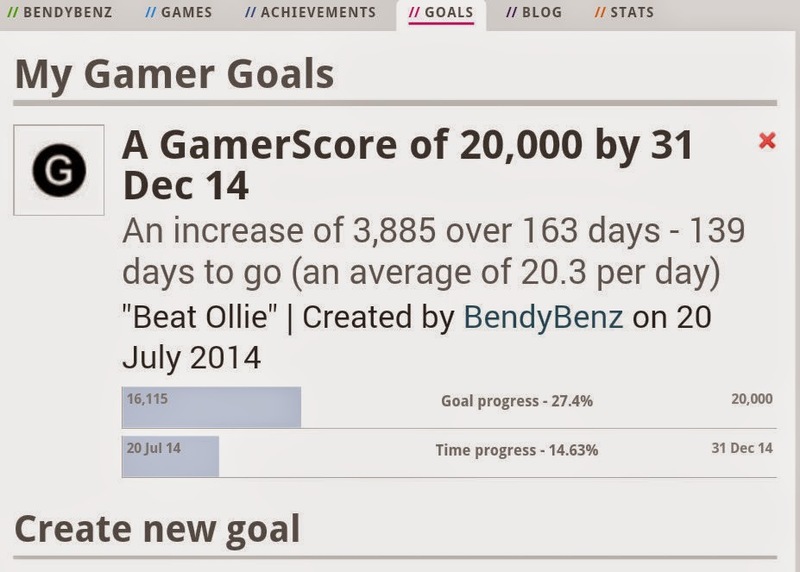 I set up a goal and it easily tracks your progress, you can also see what achievements you don't have its easy to get more achievements in less time. So what games have I been playing to get these achievements you ask... I have been playing quite a few. I finished Alice Madness Returns (what an amazing story) I haven't got all the achievement's you can get on this game but I have done pretty well. I have been finishing bits and bobs on the Borderlands games I love these games with their pop culture references and of course clap trap. Cannot wait for the Pre-Sequel. I have really got into Assassins Creed: Black Flag and hulked out in Lego Marvel Super Heroes. Here are some screenshots of my progress. I will hopefully be reviewing some games very soon.